Following a double podium in Argentina and Marc Marquez’s success in Texas, the Repsol Honda Team prepare for the first European round of 2016 while leading the Riders, Constructors and Team standings. 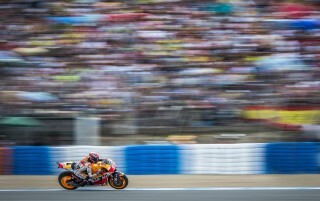 The Red Bull Grand Prix of Spain will be held on Sunday at the iconic Jerez Circuit, which first hosted a motorcycle grand prix in 1987, and the Spanish duo of Marquez and Dani Pedrosa will have the opportunity to race in front of their home fans at a track they both love and where they have recorded strong results. 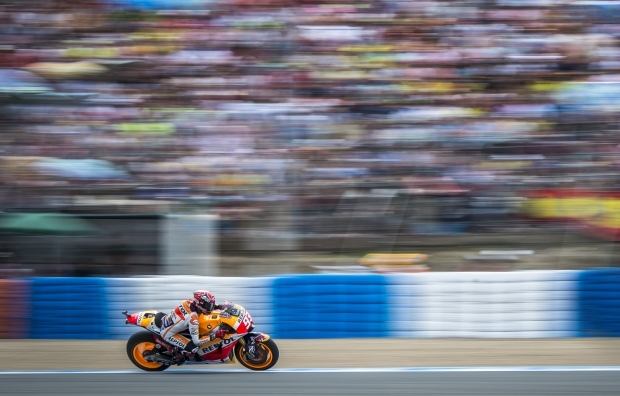 Marc scored his first Jerez victory in 2014, and he has reached the podium there on four additional occasions—2009, 2012, 2013 and 2015. Last year’s second-place finish was especially remarkable, as Marc raced with an injured hand, having undergone an operation on Saturday of the preceding week to treat a fracture to his left little finger, suffered while training. Dani also had undergone surgery, three weeks before last year’s appointment, to treat arm pump and was replaced for the third (and last) consecutive race by Hiroshi Aoyama, who unfortunately crashed out of the Sunday race. Dani’s missing the race interrupted his enviable record at the Andalusian track, as he had climbed the podium for ten consecutive years, from 2005 to 2014, earning two MotoGP wins, in 2008 and 2013, and a 250cc victory in 2005. A post-race test is scheduled for Monday, 25 April.